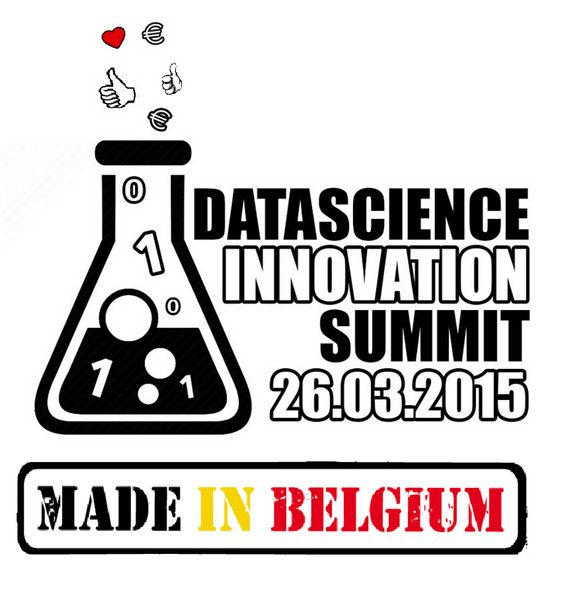 Ruben Hemelings is a graduate student in Artificial Intelligence / Big Data at the Catholic University of Leuven. In collaboration with the Flemish research organisation VITO, he is currently researching the application of deep learning on retinal images in order to improve early diagnosis of ocular and cardiovascular diseases. Ruben also holds a business engineering degree from the Solvay Brussels School of Economics and Management, and went on an exchange program in Canada. 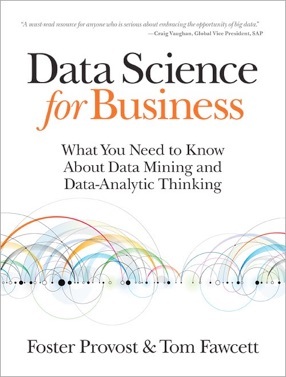 Prior to his interest in data, he considered a career in finance, illustrated by summer internships at ING, Deloitte and PwC. In his spare time, you can often find him playing the piano or having a go at tackling Kaggle challenges. Join his Ignite speech on “Deep learning on biomedical images” at diSummit 2017 ! Next Executive Session: What about a debate on Big Data & Ethics ? After the interesting talk of Stephen Brobst CTO#4 we now want to organise a debate on Big Data & Ethics. Pierre-Nicolas is proposing the following format: Short presentations by each participant representing the vision of his/her company followed by a debate. Any suggestions ? Who wants to participate ? Philippe, Puis-je te proposer que tu organises un atelier de travail avec une dizaine de responsables Big Data sur l’éthique et le Big Data ? Il faudrait limiter l’audience à des décisionnaires Big Data qui puissent vraiment représenter le point de vue de leur société. Here is some inspiration on the topic. The RTBF’s big data expert Pierre Nicolas Schwab reflects on how to develop algorithms for PSM which match their values and mitigate the potential flaws of artificial intelligence. He invites EBU Big Data Initiative participants to join the RTBF workshop addressing this issue this December in Brussels. “Most large companies are investing massively in Big Data technologies to leverage the value of their data. While many still consider Big Data as an inescapable business trend, concerns are growing regarding the impact of Big Data on our daily lives. A ‘man vs machine’ Artificial Intelligence (AI) milestone was reached in March this year when the deep-learning algorithm AlphaGo defeated one of the world’s best players at Go, Lee Sedol. In an article I published before the game, I was wondering how advances in AI were changing our lives. Cathy O’Neil, a Harvard PhD mathematician, expressed similar concerns at the USI conference in Paris in early June and will be releasing her book “Weapons of Math Destructions” in September. This book elaborates on the concerns she has expressed on her blog about ill-based decisions triggered by algorithms and how big data “increases inequality and threatens democracy”. The title may be provocative but promises to go beyond the filter bubble effect made popular by Eli Pariser. Because algorithms are only as good as those who build them, we need to open up the models, and not only the data. Those models need to be subject to criticism, peer-review and third-party scrutiny. This will avoid the use of biased or even dangerous algorithms (e.g. the French universities selection algorithm scandal revealed earlier this month) and will increase people’s trust in organizations which use algorithms. To illustrate the latter, the French fiscal authorities are now forced to render public the criteria that play a role when submitting a tax payer to a control. This exemplifies that a change is ongoing and, as PSM, we must embrace and support it. Not only must we avoid replicating flawed models (in particular recommendation algorithms that trap users in “filter bubbles”) but we, as public organizations, have duties towards our democratic societies and their citizens. That’s why we need to (1) engage in a global reflection on how our algorithms need to be shaped to reflect our values and (2) pave the way for better practices that will inspire other organizations in different industries. 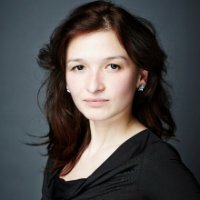 Dear friends from the Brussels Data Science community, I would like to ask for your help in conducting my master thesis research (aside from my consultancy job, I am also an MBA student at the KU Leuven) which I launched recently. Data governance research is ambiguous in the scientific community today, mostly due to the differences existing between the concepts which form the building blocks of a governance program : data and information, governance and management, IT and business labels,…As such, there exists no homogeneous definition nor in the scientific community, nor in the practitioner one as to what data governance really encompasses. Correctly positioning data governance in todays landscape will allow for the integration of new technologies, concepts and phenomena. 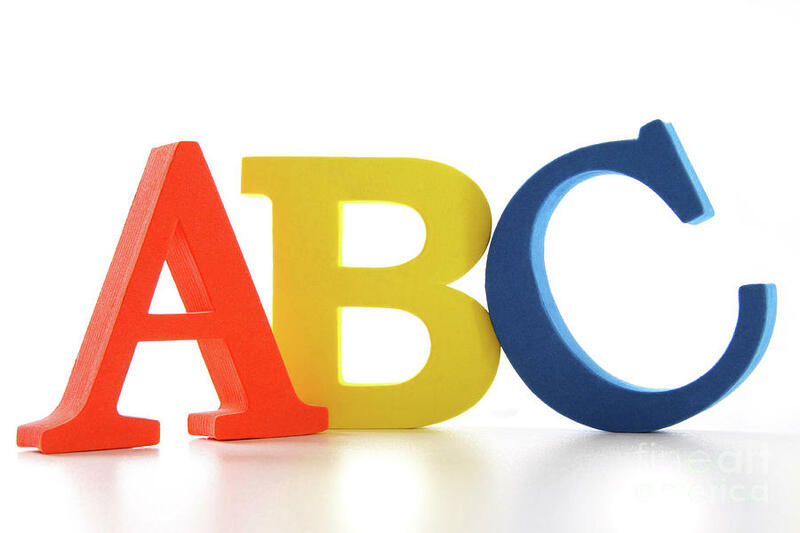 But for this positioning to take place, specifying a common data governance definition proves to be crucial in determining and isolating the different elements which constitute the backbone of such programs. 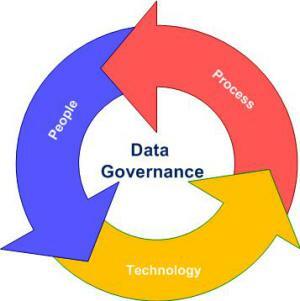 Identifying, defining and explaining the process layers, responsibilities and decision-making structures that come together and interact in governance topics allows for prioritizing and ranking the elements which constitute a data governance program. These layers allow in return for tailoring to specific needs and requirements such as integration of new concepts and phenomena like big data technologies. The purpose of my research is specifically to build a (big) data governance maturity model which holds for the Belgian financial sector. I choose the banking sector because of its size and complexity: such an intricate environment allows for building a larger, more comprehensive data governance model which could further be tailored to fit to other sectors. For this purpose, based on an extensive literature review, I have built a questionnaire, in the form of a maturity assessment, which evaluates different data governance aspects : MDM, enterprise architecture, technology, applications, big data initiatives etc. I would like to draw on your input, experience and expertise for the evaluation of this model in practice by inviting you to participate in my survey. A possible prerequisite would be to have some former experience in the banking/financial sector (in any form pertaining to data programs) but as such, it is not an exclusion criteria, as I plan to use these answers to develop a standard capability maturity model for data governance. If you choose to participate please bear in mind that you don’t have to be “able” to answer all sections – the questionnaire dealing with multiple aspects of governance – your feedback on a singular issue being also of extreme value to this research. It takes an average of 10-15 minutes to complete the survey and the link will be available until begin of April. Stop sending all your money to facebook and google, spend it more wisely and get far better results from a Belgian #datascience startup offering a more secure and safer solution for Online advertising. Nice crowd yesterday for the on the top floor of the Boerentoren (KBCstartit) for the Launch of Predicube, a startup founded by David Martens. Online advertising is big business, but spamming consumers with random ads has proven not to be the best way to optimize advertising returns: people only click on ads that are relevant to them. Hence, media companies and advertisers have been exploring targeted advertising strategies to boost online ads’ click-through rates (and revenues) based on an analysis of people’s Internet surfing patterns. An approach that conflicts with consumers’ stringent privacy concerns? Not anymore, thanks to Belgian tech starter PrediCube – a spin-off from digital research center iMinds and University of Antwerp, and supported by the Start it @KBC incubator. PrediCube uses big data analytics to make sure consumers get to see those ads that are truly of interest to them, thereby increasing click-through rates up to 300%, while putting its unique ‘privacy by design’ strategy center stage. Online adverteren is big business. Online advertising is big business. In Europe alone, online ad spending topped €27 Billion in 2013 (a YoY increase of 11,9%). Yet, while this big market potential offers a great deal of opportunities, the shift to online advertising also comes with a number of important concerns. The authors of the book Het nieuwe TV-kijken1 found, for instance, that 70% of every euro that is redirected from print to online advertising currently floats out of the local economy – right into the hands of a few big international players such as Google and Facebook. Trying to counter that drain of resources and valuable consumer data, PrediCube now brings to market a solution that can be used by local media advertising companies to predict consumers’ interest in specific ads – based on an analysis of their online behavior. 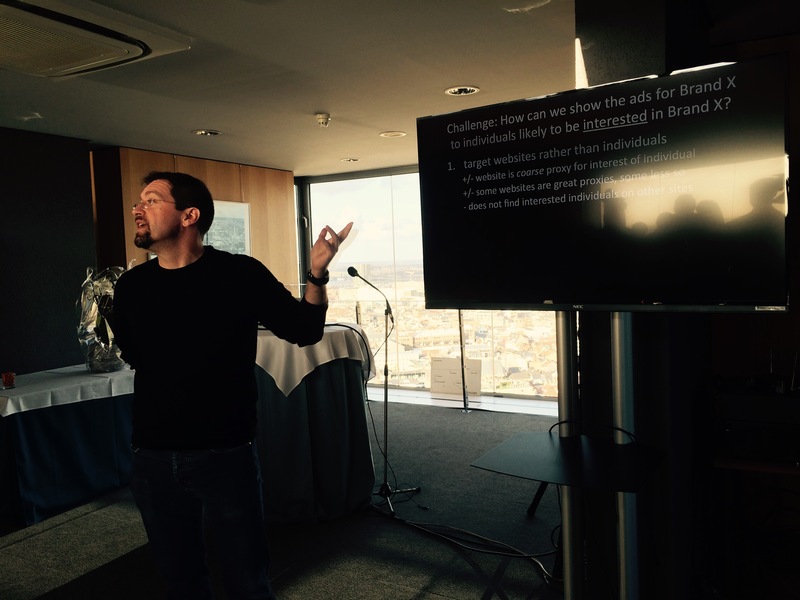 Result: targeted online advertising campaigns that are much more efficient and generate higher revenues. “Using PrediCube, we have been able to increase targeted online ads’ click-through rates up to 300%. In other words, we are now able to match ads with the right consumer profiles up to 3 times more accurately. Moreover, we want to significantly increase the inventory’s volume based on socio-demographic criteria (such as age and gender). Thanks to PrediCube we will be able to do this in the very near future. It goes without saying that this approach will positively impact our business and product offering,” says Philippe Degueldre, director business intelligence at Pebble Media, managing online advertising for 80 premium websites – such as VRT, Telenet, RTBF, Viacom, Elle and LinkedIn. Dealing adequately with consumers’ privacy concerns is a major focus area for the PrediCube team; hence they are investing a great deal of effort in their ‘privacy by design’ approach. PrediCube builds on the outcomes of the DiDaM project, a collaborative research effort under the banner of iMinds Media. DiDaM investigated ways of analyzing media users’ Internet sessions in real-time and identifying patterns to help advertisers integrate relevant ads into web pages (also in real-time). 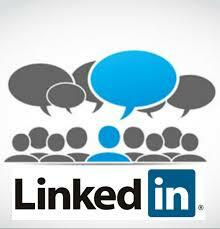 Objective: providing consumers with just those ads that are relevant to them. DiDaM’s research findings and the expertise from the Applied Data Mining research center of the University of Antwerp together laid the foundation of PrediCube. The PrediCube team can also count on the support of the Start it @KBC incubator – providing them with business guidance and office space. PrediCube is a new tech startup that uses advanced big data technology to predict which online users are interested in a product, allowing targeted advertising on premium websites. Or how a spinoff company of University of Antwerp and iMinds is ready to go head to head with Facebook and Google to compete for online advertising budgets. PrediCube results from an iMinds Media project that ended in 2014, investigating the potential of data for improved advertising (together with partners Concentra, Pebble Media, AdHese and KU Leuven). PrediCube has been co-founded by prof. David Martens, who heads the Applied Data Mining research group at the University of Antwerp (faculty of Applied Economic Sciences), and whose research focuses on the development and application of data mining algorithms. 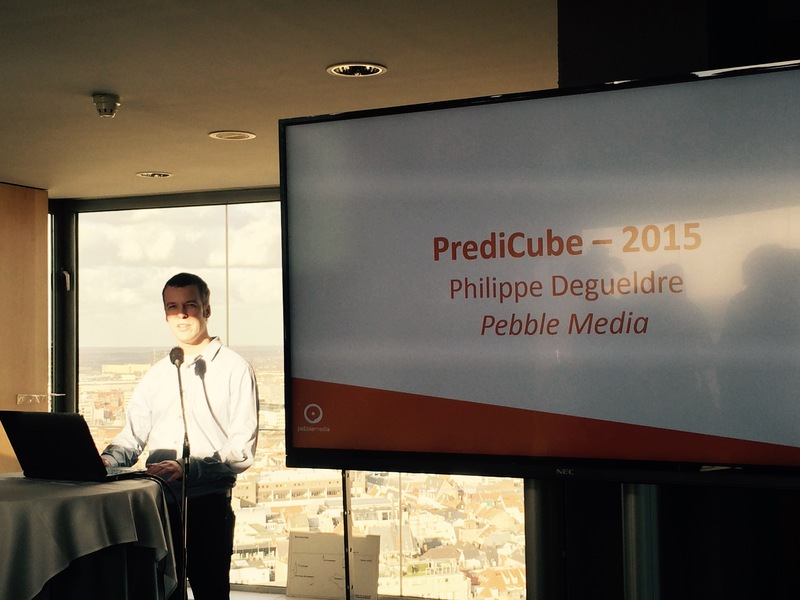 PrediCube was founded in October 2014, and is part of the Start it @KBC incubator. Current customers include Batibouw, Engels Ramen, Verandaland and Triple Living. 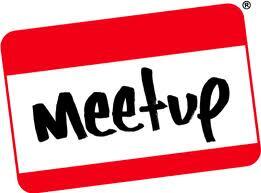 Antoine from Technologium wrote this nice article about our last meetup we held at the VUB focusing on the Telecom world and their use of datasciences. See you soon at our next event. 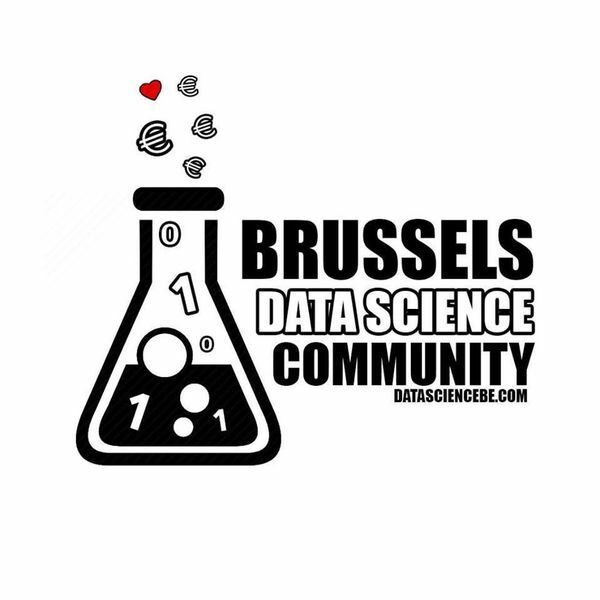 Ik zag dat jij trekker bent van Brussels Data Science Community. We hebben bij Mediahuis momenteel een toffe verantwoordelijke job openstaan binnen ons groeiend 360° datateam http://mediahuis.be/job/team-manager-big-data. Kan ik deze posten in de community of daar wat extra visibiliteit rond geven? Je bent verantwoordelijk voor het begeleiden van een aantal technische projecten rond klantenidentificatie, geautomatiseerde gerichte campagnes, omni-channel campagnes en profileren van klantengedrag (big data). Je werkt in nauw overleg met de collega’s van sales en marketing over de doelstellingen, de aanpak van de campagnes, timings van de op te leveren opdrachten en projecten van je team. Je zorgt er ook voor dat data/meten een essentieel operationeel middel wordt bij zowel redacties, marketing, sales als de digitale afdeling bij het nemen van tactische en strategische beslissingen en je zet hiertoe de nodige structuren en contacten op om dit te faciliteren in de komende jaren. Je geeft leiding aan een klein team van ervaren technische specialisten. Je coacht hen, overlegt regelmatig, stelt werkplanningen op, en je evalueert en stuurt bij waar nodig. Je bent een technisch klankbord bij wie je teamleden terecht kunnen in geval van vragen. Je hebt minstens enkele jaren technische project management ervaring en een agile mindset. People management ervaring vormt een plus. Je hebt een passie voor marketing automation en/of big data en interesse in de veranderende mediasector. Je werkt planmatig en bent sterk in het opvolgen en bijsturen van mensen en projecten. Je werkt constructief met anderen samen, adviseert hen en reikt doordachte oplossingen aan. Je functioneert effectief onder druk in dit dynamisch team. Je neemt verantwoordelijkheid op en toont initiatief. Je bent gedreven. Een aantrekkelijk salaris en een pakket extralegale voordelen overeenstemmend met je ervaring en competenties. Je plaats van tewerkstelling is Antwerpen, met occasionele verplaatsingen naar onze vestigingen te Groot-Bijgaarden en Hasselt. Een boeiende job met ruimte voor eigen initiatieven en verantwoordelijkheden bij een gevestigd en snelgroeiend mediabedrijf. Je bent verantwoordelijk voor een dynamisch en enthousiast team, met ervaren mensen op de diverse terreinen. Je bent nauw betrokken met de business waardoor je snel resultaten ziet. If you have questions please contact Sarah Vandervreken 03/210 03 73 or 02/467 25 08 (on Wednesday).